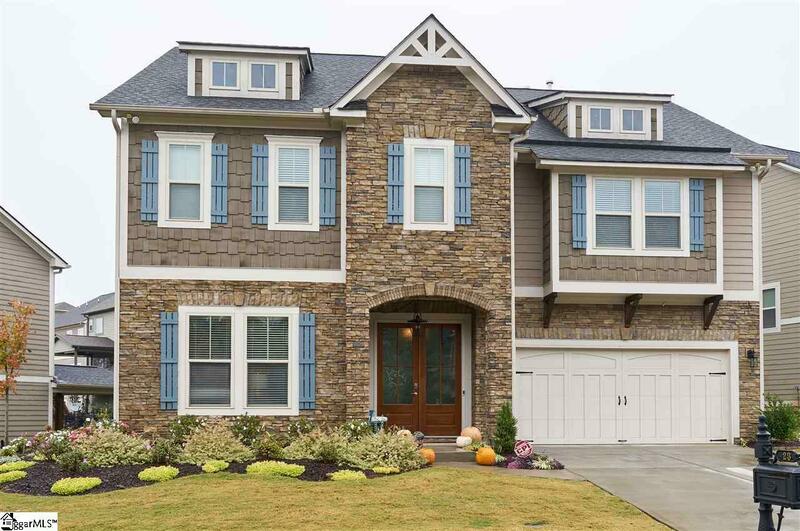 Charming craftsman style home in highly desired Augusta Circle school district. This 5 bedroom, 4 full bath home has it all! Wonderful open floor plan with expansive 10 foot ceilings and hardwood floors throughout main level. Chefs kitchen features granite countertops, stainless-steel appliances and eat-in breakfast area that opens to living room with gorgeous corner fireplace. Also on the first floor is a guest bedroom and full bath. Second level features the spacious master suite with gas fireplace and sitting area. Master bath includes granite double sink vanity, separate tile shower, garden tub and his and hers walk-in closet. Plus, three additional bedrooms, walk-in laundry and large bonus room. Great outdoor space with screened porch that leads to fenced back yard. Just minutes to downtown Greenville. Schedule your showing today!